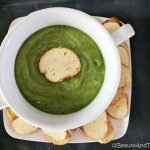 My Mother told me about this amazing recipe she found online for Gazpacho Verde that she has been making. Not only is it super healthy, it is super easy. As easy as throwing everything into a food processor and processing until soupy. 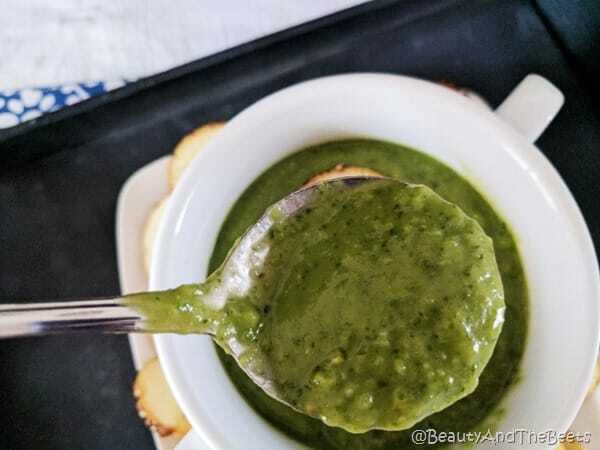 I love easy recipes, but this particular recipe called for a jar of bottled green salsa. Hmmmmm, this sounds like a challenge to me, a challenge to make this recipe without using anything in a bottle. 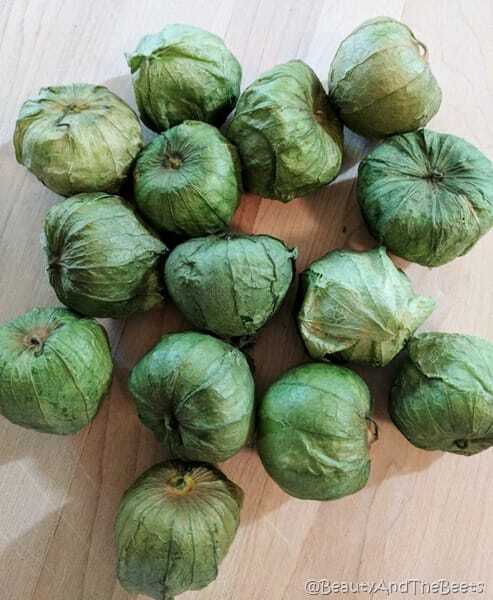 The first challenge was to find tomatillos in my local grocery store, and I was surprised to find them quite easily. Tomatillos are Mexican husk tomatoes and are commonly used as the base for salsa verde. Removing the husks are easy, but they are like stickers leaving a sticky film on the fruit. It wasn’t easy to wash the stickiness off so I rinsed them as well as I could and used them as is. I made the salsa first. The recipe only calls for a 1/2 cup of the salsa, so I used what was left over to spoon over eggs in the morning. Easy enough. The rest of the soup contained fresh greens and vegetables, basically health in a bowl. Spinach, arugula, parsley, avocados, cucumbers, celery, lime juice and filtered water. That’s it. 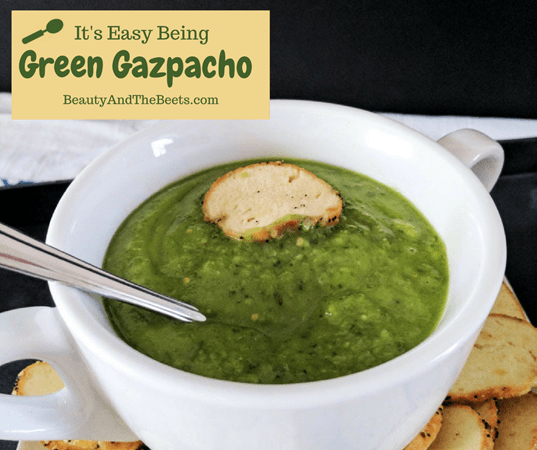 Hope you enjoy my twist on this recipe for Green Gazpacho! The healthiest of all soups. Add all the ingredients to a pot and cover with water, just to the top of the ingredients. Boil the water, then reduce heat and simmer for 15 minutes. Pour the ingredients into a blender and blend until slightly chunky. Return the salsa to the pot and simmer for 30 minutes. Let cool before adding to the soup. Add all ingredients to the food processor and process until smooth. Add more water if neccesary until desired consistency. Chill or serve immediately. Garnish with parsley sprigs if desired. 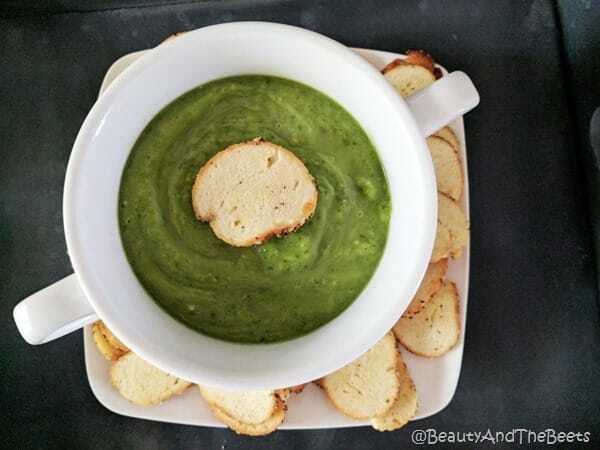 Do you prefer green or red gazpacho? Pretty clever making your own green salsa – you can control everything by making it yourself.